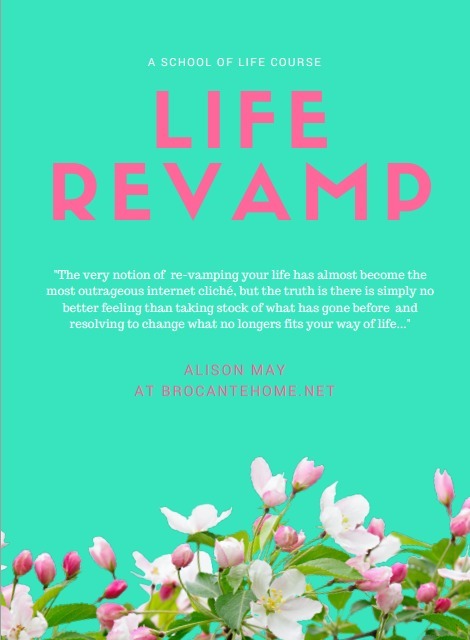 ReVamp 2016 is a six point plan for changing the one aspect of your life that is compromising all others. It begins with SAYING GOODBYE to all that is holding you back. Then making the decision to CHANGE. It require FOCUS, and an environment that supports your goals, alongside ROUTINES AND RITUALS that will keep you on the right path. You will be expected to ASK FOR HELP and QUANTIFY your progress. Do make the most of ReVamp won't you? While it is not the glittery guide to a fabulous New Year so oft to be found around the interwebs at this time of the year, it is a very real guide to embracing change and using the 1st of January as a starting point for a more contented way of life and I truly hope you will find it transformational.